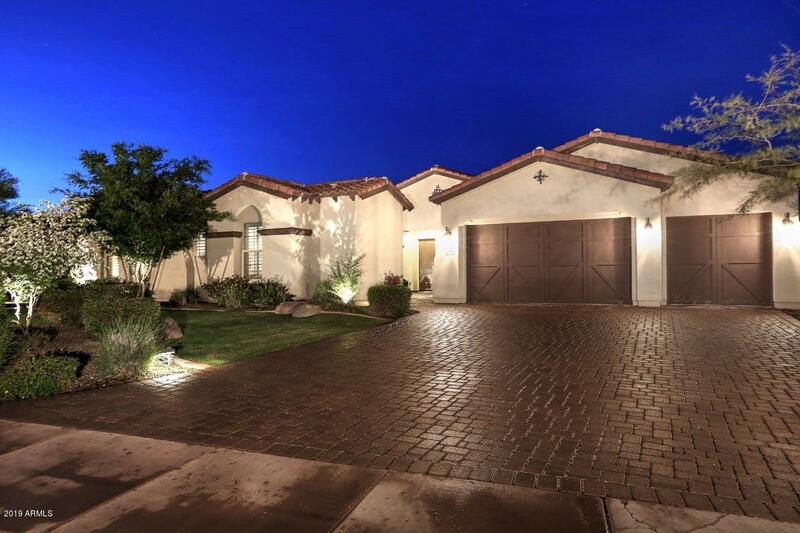 Fabulous home with numerous upgrades and amenities for the discerning buyer. Home includes formal living room, built-in wet bar, nicely appointed kitchen with island and an additional dishwasher, two large built in wine coolers and ice machine, the over sized backyard has a large putting green, sparkling pool, separate spa, fire pit and a viewing patio, add outdoor kitchen complete with pizza oven, bbq and refrigerator. Absolutely one of the best lots in the development with spectacular views of the 14th fairway & green, mountains and water feature. Whole house sound system and video wiring. The separate casita for great for guest. Last buy not least privately owned solar system. Butcher block island does not convey, it is not attached. 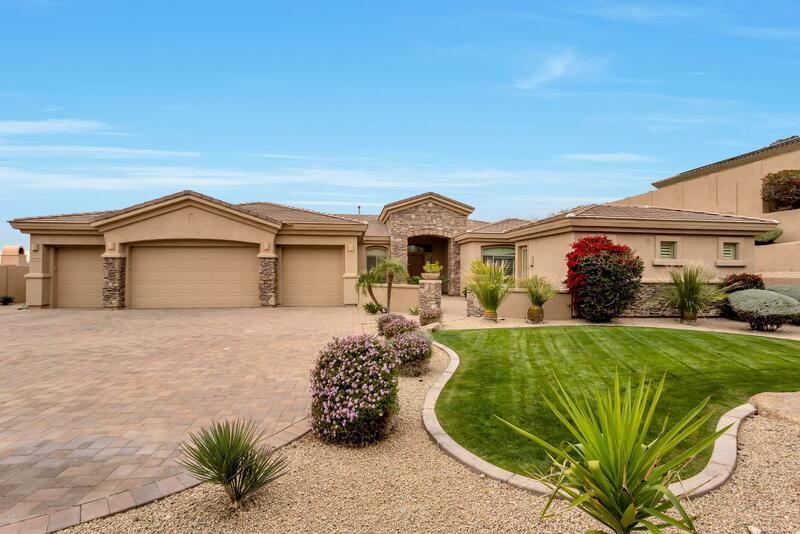 Owners are licensed arizona real estate agents. 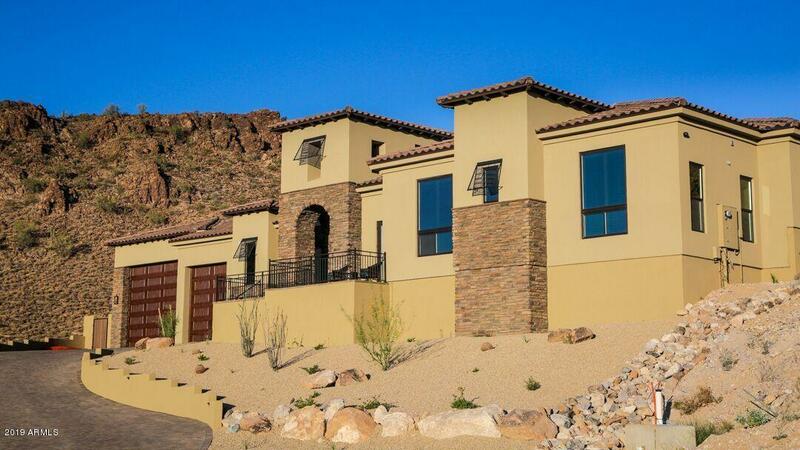 Start with a stunning mountainside lot in the gated subdivision of alvamar at westwing and add a luxurious home crafted by starwood custom homes and you get the perfect custom home with magnificent 360 degree views from every window with both city lights and mountain views. Pass through the entry and open the sliding glass pocket doors, the first thing you see is a positive edge infinity pool with a fire pit. 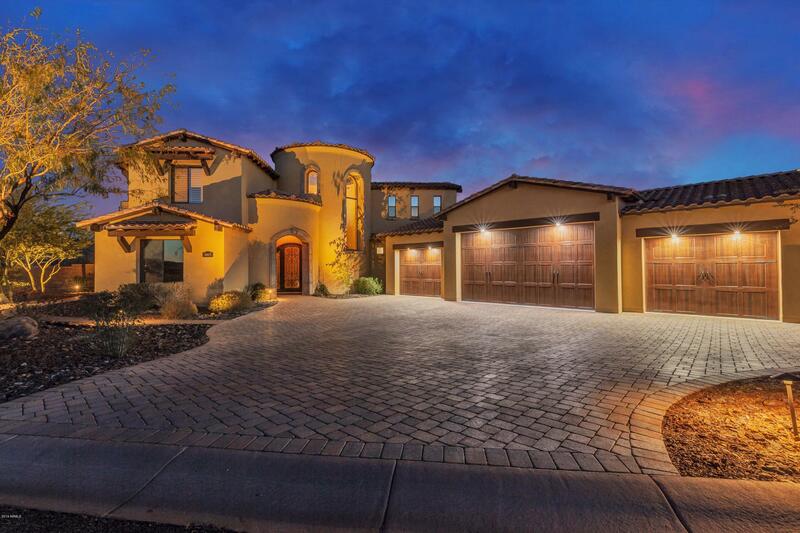 The outdoor space was designed for entertainment and enjoying the great arizona sunsets. The outdoor hardscape includes extensive use of travertine tile and includes a built-in bull brand outdoor grill and gazebo. The kitchen features a custom designed casual island table for the entire family to come together and enjoy. Need space?. 2. 5 acre estate. 5100+ sf custom beauty. No hoa. Mtn views. Rv garage. Pool. Tennis court. 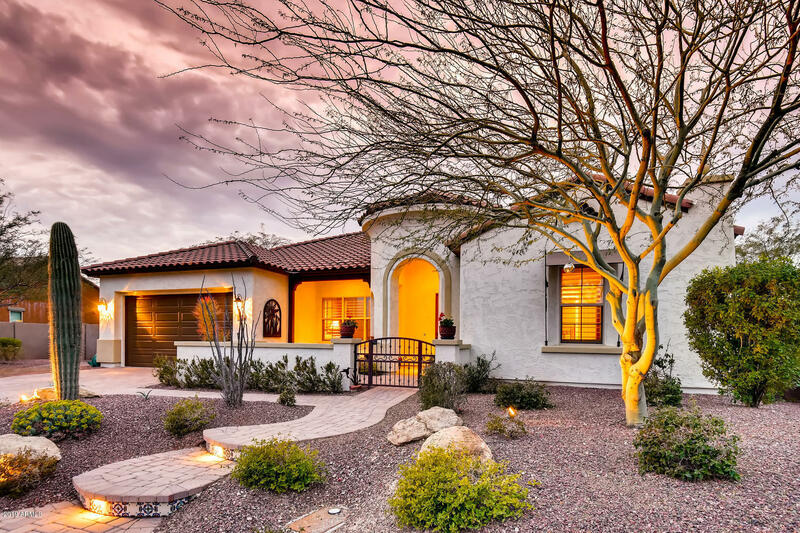 Wonderfully appointed southwest beauty w/flexible & functional 3 way split, open concept floorplan family room boasts 13 ft ceilings. 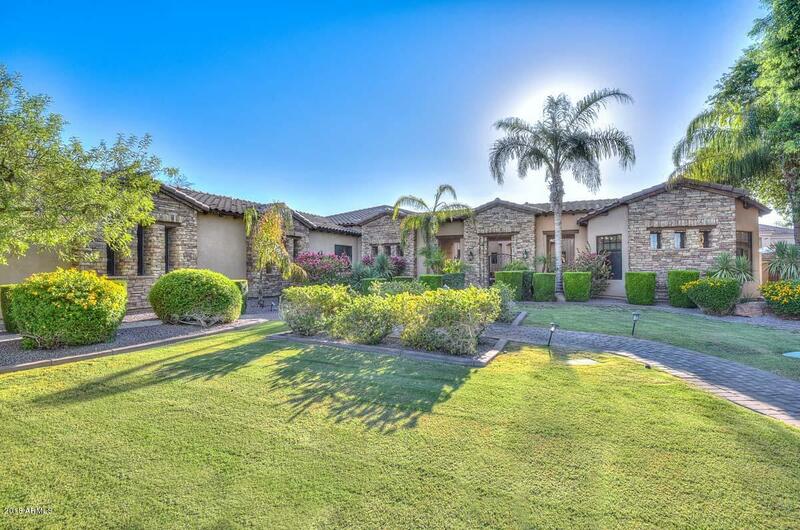 Huge master w/firepl/jacuzzi/dual vanities/dual walk in closets. There is a suite of 2 additional bedrms w/jack n jill bath, a 4th bedroom w/full bath, a bonus room perfect for office or playroom + a second lrg game/media room w/bar. Backyard is a private oasis, w/pool/ swim up bar/bbq patio & raised fireplace patio those cozy evenings w/family and friends. For the fitness buff, a full size tennis court. Not into tennis, would make a great sport court/skate court. Rv'er? Car lover? Drive thru side entry rv garage w/attached 2 car garage. Total perfection! 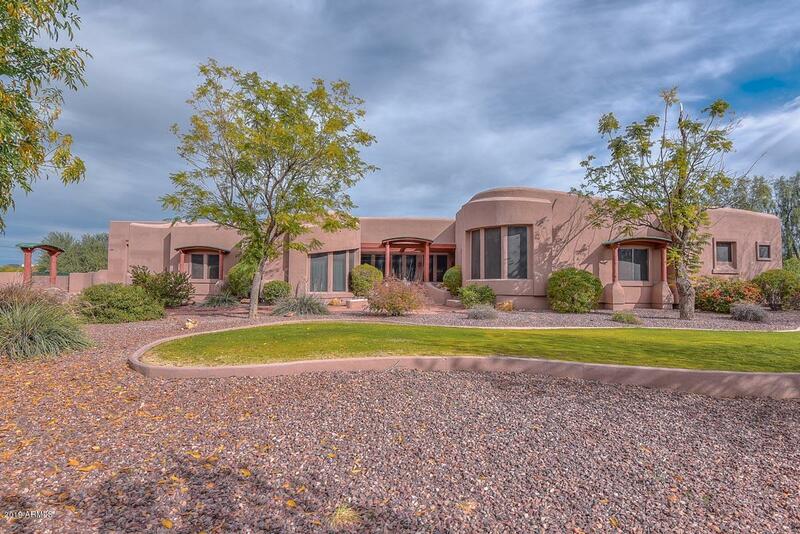 Rarely available 2,771 sf 'vantage' w/837 sf loft! Blt 2016. 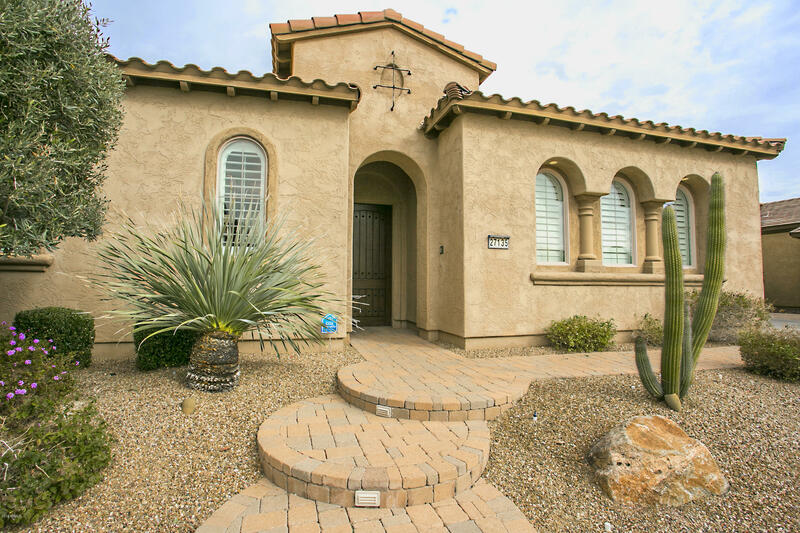 Front courtyd w/custom entry gate, travertine pavers, separate loft entry. Beautiful porcelain wood-look tile enhances great rm, lounge w/firepl, chef's dream kitchen & dining area. Plantation shutters thru-out! 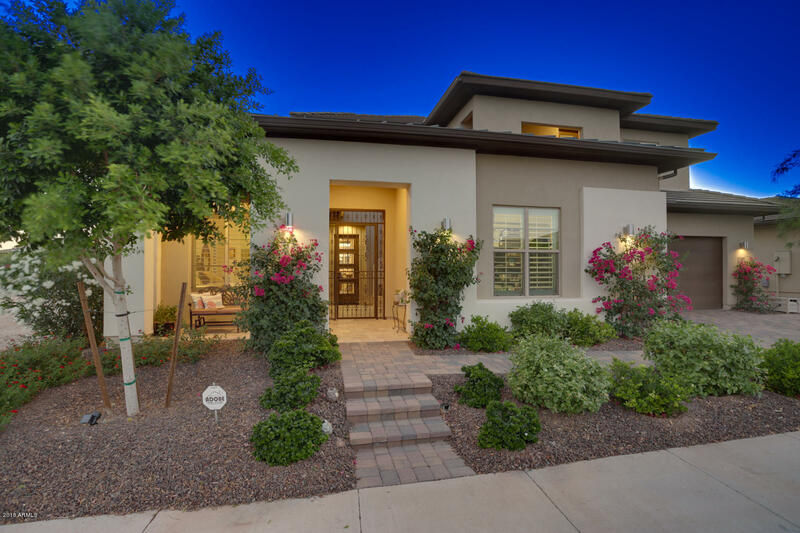 Kitchen: granite slab on huge island & c-tops, ge profile s/s built-in appls w/5-burner gas cooktop, staggered cabinets w/convenience package, tile backsplash, walk-in pantry. Large master suite w/2 closets. Master bath: tiled shower, soaking tub, double vanities, 2 water closets! Loft: tv lounge area, alcove w/wet bar, bedrm, full bath. Private backyd: huge patio w/travertine pavers, blt-in covered gas bbq w/granite tile counter & fridge, lush landscaping, no neighbor behind! Ppd leased solar.